After seeing an increase in clogged pores I decided to try something a bit different and have since switched to The Better Skin Co.'s line of products. I've been enjoying The Better Skin Gel Kleanse which is super gentle on my skin, while helping to draw out all the gross grime and pollution of the city air. My skin still feels hydrated and supple after using this cleanser, even when I fall asleep before applying my serum. I really love the Super Shield Serum, it includes herbs that help fight the effects pollution has on your skin and it smells beautiful, like rose petals! It makes me look forward to my skincare routine. My pores appear less clogged, smaller, and my skin is much softer than it was before. This serum also helps protect your skin from blue light, which is super important to me since I spend much of my day in front of a screen. Since changing my routine I've only worn makeup once. When I first began using these products earlier this month I noticed a bit of purging, and while it hasn't stopped yet I know it's vital to my skin being clear. My skin also seems to be healing much faster when I do have a breakout, which I'm fascinated by. 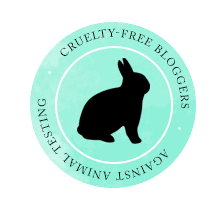 The Better Skin Co.'s products are cruelty free, made in the US, vegan, paraben free, gluten free, and clean. Love learning about cruelty free and natural skincare! Thanks for the reccs! thanks for stopping by Gina! :) More to come in this series.